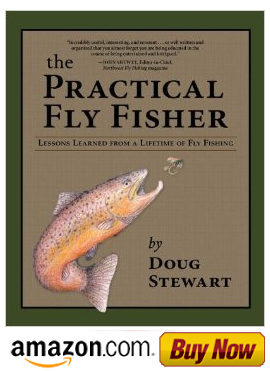 Fly Fishing with Doug Stewart: A Strange But True Fly Fishing Story. Doug on the Crooked River with some nice trout. Fly fishing stories that are uniquely similar are interesting, but when the same circumstances occur over 50 years apart, it’s a very rare occurrence. An incident like this surfaced during the 2015 Albany Fly Fishing Federation show when Gary Vox, a friend of mine, sat down at our booth, the Practical Fly Fisher. As we were discussing our experiences and fishing successes on Eastern Oregon’s Crooked River, the subject of big fish entered into the conversation. 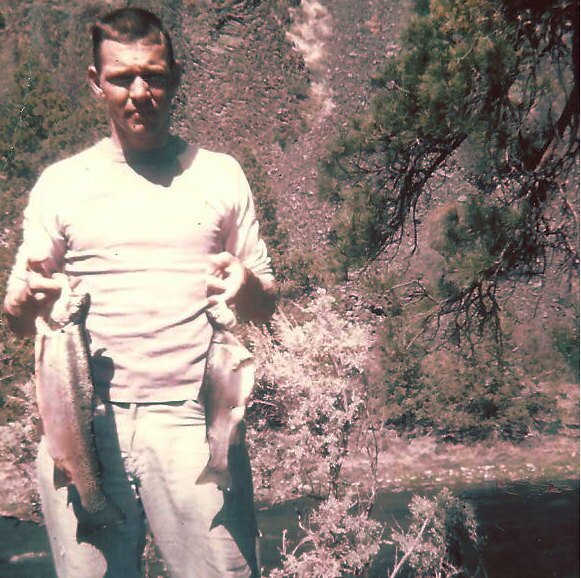 In the early 60’s and 70’s, 4- to 6-pound trout were common with many going larger. The biggest I ever caught was 5 pounds, but I had lost several that were 8 to 10 pounds. A few of Gary's photos showed some fish in the twenty-inch range. Larger fish are not that common anymore. As we continued to trade stories, the subject of large fish dominated the conversation, and Gary led off with a whopper. He said that he had hooked a very large fish in what we used to call the Chukar Hole and had to go downstream to land it. It was difficult to control because it was entangled in weeds. Fortunately, there was a large pool where he was able to land it. To his dismay it turned out to be a large muskrat that was covered in weeds. I was stunned because in the early 60's, I hooked what I thought was a huge fish on the same stretch of water. It was also entangled with weeds, and as I followed it down to the pool below, I hoped it would be a trophy trout. Amazingly, as I unraveled the weeds my expected trophy fish turned out to be a large muskrat. The history of fishing sometimes has a habit of repeating itself, but usually not to perfection.